At Pioneer Bank, we are dedicated to being a true community bank, and have a tradition of giving back to the communities that we serve. Our staff in Alamogordo is accepting donations for the Center of Protective Environment Inc. during the months of October and November. 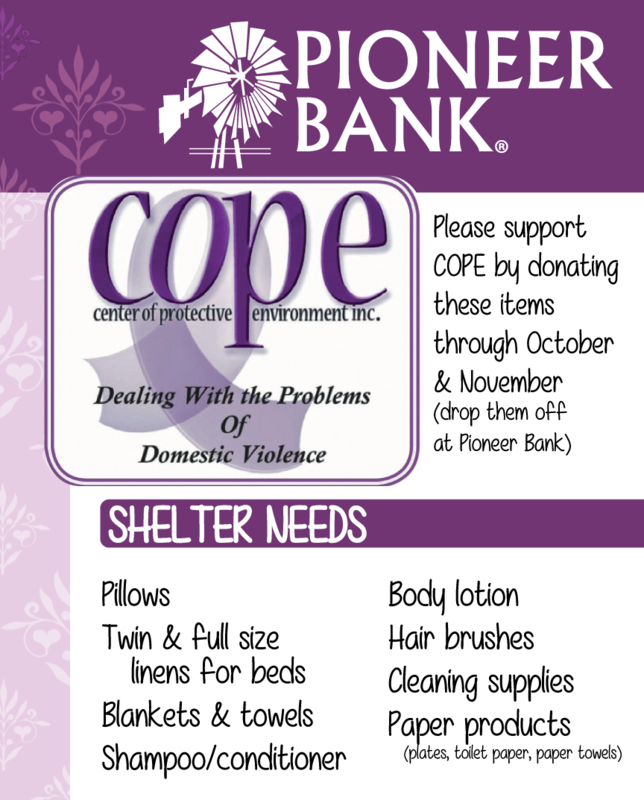 Please help us with the items that the victims of domestic violence need. Tags: domestic, donate, help, support, victim, violence. Bookmark the permalink.